Should You Take Prescription Sleep Aids? We've all experienced sleeplessness, from occasional bouts of difficulty getting to sleep to more serious chronic insomnia. While there are many prescription sleep aids that can help they should not be your first choice. When we can't get to sleep it's tempting to just take a pill that promises a quick fix and a restful night's sleep. However, you need to first assess whether or not taking prescription sleep medications are appropriate in your situation. This is especially true if you are only experiencing occasional insomnia. In this case many over the counter sleep aids, herbal sleep remedies or other natural sleep aids can provide the relief you need without the need for "sleep drugs". Of course, for chronic insomnia you may need to take one of the prescription sleep medications in order to get the rest you need. As always it is important to consult with your doctor before taking any sleep medications no matter whether they are prescription sleep aids, over the counter sleep aids, herbal sleep remedies or other natural sleep treatments. There are a number of options available for prescription sleep aids, but primarily there are two main types but as a class of drugs they are referred to as "sedative hypnotics". Benzodiazepines are generally used to also treat anxiety and can certainly be addictive, so they should be used with care and for as short a time as possible. 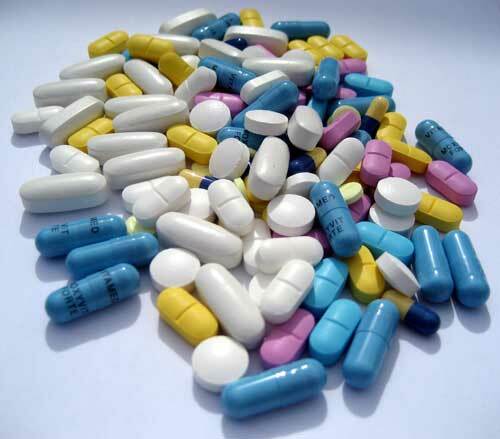 Examples of benzodiazepines include Xanax, Valium, Ativan, and Librium. These sleep medications have a longer half life than some of the newer non-benzodiazepine sleep drugs which means they stay in your body longer and can cause daytime drowsiness. Non-benzodiazepines, on the other hand, can cause you to get to sleep quickly and are cleared from your system more in a shorter period of time, reducing the feeling of drowsiness after waking. Common non-benzodiazepines are Ambien, Lunesta, Sonata and Imovane. Most of the newer prescription sleep medications are not as addictive, however, they can become habit forming. So, while you may not become physically addicted there is the potential to become psychologically dependant and feel you need them to fall asleep while in reality you would be able to sleep with out them. In some cases anti-depressant drugs have been used for insomnia treatment. For example, with Trazodone insomnia can be alleviated but it is only approved for use to treat depression. Trazodone insomnia treatment is considered an "off label" usage but may work well for those suffering from both depression and insomnia.